Drivers involved in a two-vehicle crash on Wednesday morning received minor injuries. 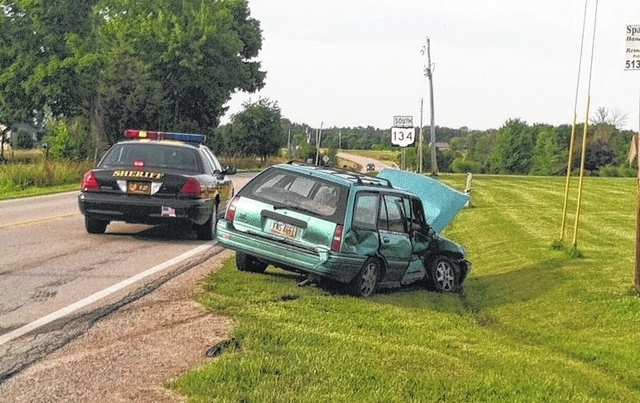 A two-vehicle crash at SR 134 and SR 131 in Salem Township in western Highland County on Wednesday around 7:30 a.m. resulted in minor injuries to the involved drivers. According to the Ohio State Highway Patrol, Wilmington post, George Hanshaw, 55, Seaman, failed to yield at a stop sign and struck the vehicle driven by Kathleen Hoskins, 66, Sardinia. While both drivers had minor injuries, according to OSHP, Hanshaw was transported as a precaution to Highland District Hospital in Hillsboro by the Lynchburg Joint Fire and Ambulance District. He was later released. Hanshaw was cited for failure to yield at a stop sign.